Babblings of a Mommy: A Payless Pump Too Cute To Pass Up! A Payless Pump Too Cute To Pass Up! I must admit I haven't checked out Payless inventory in quite some time, but these ribbon wrapped pumps are too cute not to check out! 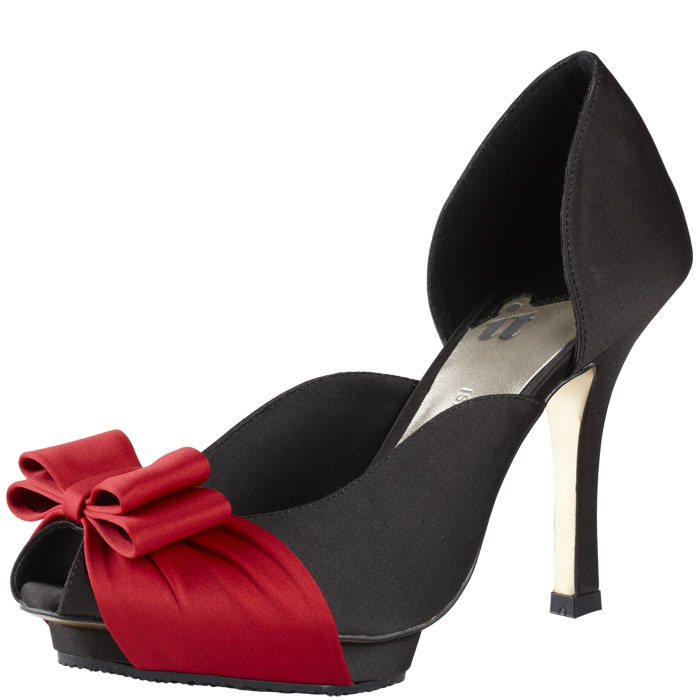 They're from the Isabel Toledo Fall 2011 Collection for Payless, and they are at a very reasonable $44.95! While the other shoes in her collection are a little too eccentric for me, these Toreador Pumps would make the perfect little holiday shoe, don't you think? Those seriously are perfect for the holidays. Payless has some really cute shoes for the fall. I have bought 3 pairs and still thinking about another. I would so love to score those for the holidays!